Dentistry is both a science and an art, and dentists require great skill and reliable tools to effectively promote dental health and wellness for their patients. Dentists must also do their work on small surfaces, so attention to detail, precision, and accuracy are all very important factors they must consider when they choose their tools, including pipettes. A pipette is a small tube that is used to measure, distribute, and apply precise amounts of liquid or gel. Pipettes are often used in laboratory settings, but also have many useful applications in dental procedures. How are Pipettes Used in Dentistry? Pipettes also help maintain a sterile and safe environment for patients who are undergoing a dental procedure. For example, during a delicate procedure such as a root canal, sensitive tissue and nerves are exposed while the dentist preps, cleans, and debrides the infected or dead parts of the nerve. Pipettes help dentists make precise applications to such sensitive areas, and keep them free of outside bacteria and contamination. Additionally, where deeper examination and study is necessary for patient care or research purposes, dentists will also use pipettes in their labs. What are the Different Types of Pipettes Used in Dentistry? Various dental procedures may require different types of tools, including pipettes, to effectively and safely complete the work. There are several different types of pipettes used by dentists as they endeavor to help eliminate their patients’ dental pain or issues or further their understanding through research. There are different types of pipettes frequently used in dentistry, and depending on the procedure being performed, a dentist may use any combination of the following pipettes. The disposable pipette is the most basic version of this tool. It is great for dispensing liquids that do not require extremely precise measurements, and is not often utilized in lab work. Disposable pipettes should only be used once, and replaced with a new pipette for subsequent applications. The graduated pipette works much like a syringe, and allows for specific amounts of liquid or gel to be dispensed from a starting amount. The graduated pipette can be used to measure and dispense dental liquids and gels with accuracy. The single-channel pipette is a non-disposable instrument with disposable tips that is often used in laboratory setting to obtain very accurate measurements through air displacement. Multichannel pipettes function in the same manner as single-channel pipettes, but they utilize multiple tips for measuring and dispensing equal amounts of liquid at once. 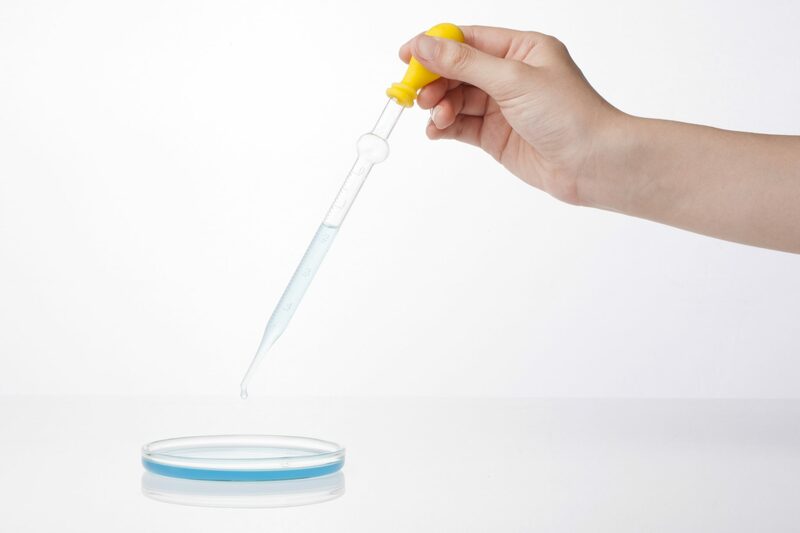 A repeat dispensing pipette is very useful if repeated applications of the same liquid or gel are needed, without refilling or changing out the tool. Many dental procedures require the application of very small amounts of liquid or gel while preparing the tooth, and at intervals throughout the full procedure. Pipettes are a valuable tool in general dentistry, as well as a key part of lab work. The different types of pipettes discussed are among those that dentists use in their work for healing patients and conducting valuable research.